If you want your outdoor power equipment to last longer and do more, you want Arnold oil products for your fuel and engine maintenance. Providing you with top-quality oil, filters, and accessories that are specific to your engine, Arnold oil products are the best way to get keep your engine functioning at its prime. Compatible with tons of major brands, 50+ years of proven performance has landed Arnold a reputation of cutting edge product innovations and extensive engineering expertise. Arnold oil products have everything you need to keep equipment running the way it should season after season. In addition to reliable, high-quality oil and accessories, Arnold’s easy-to-follow instructions and extra tips will ease your equipment maintenance and assure that you get the job done right. Stop mixing and start working with Arnold oil fuel and corresponding accessories. 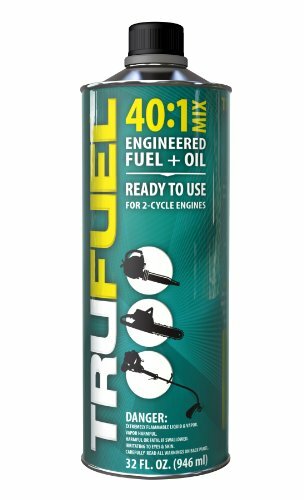 If you have any questions about this product by TruFuel, contact us by completing and submitting the form below. If you are looking for a specif part number, please include it with your message.